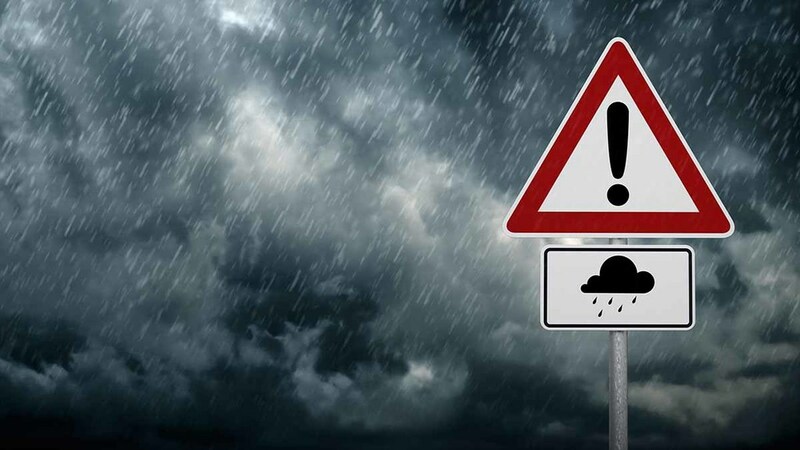 Farmers and rural workers have been warned to be on standby later today as strong wind and rain approaches. Storm Eleanor, the first named storm of 2018, comes with a Yellow Weather Warning for this evening and much of tomorrow (January 2 and 3) with gusts of 60-70mph expected inland and 80mph on exposed coasts and hills. The Met Office said despite the wind, much of the UK will be hit by a chilly night with temperatures in Scotland expected to drop low enough for frost. NFU Mutual head of claims Jon Cawley encouraged farmers to ‘be prepared’. He said: “Strong winds in rural areas can cause significant damage as many farms and homes are situated on higher ground and less protected by other buildings. “Rural areas can also be prone to power cuts with lines brought down by high winds and fallen trees. The storm is expected to clear by late morning but the weather will stay ‘very windy with heavy showers’. The insurer warned it was likely to cause damage to buildings, with potential for human injury from flying debris, power cuts and coastal flooding. For more information on weather precautions visit www.nfumutual.co.uk. For emergency assistance, call the NFU Mutual out of hours line on 0800 282 652.